Gather up all of your children's toys and games and store them in the Enchanted Woodland Toy Chest. Tidying up nurseries and playrooms everywhere this toy chest makes for the perfect gift and organizational lesson for the children! 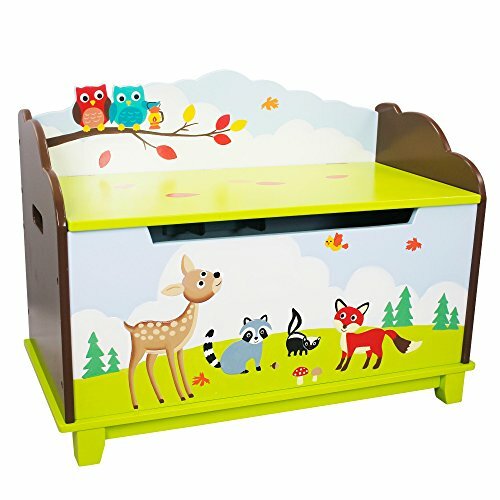 Carved from wood and hand painted with love, adorable little woodland animals decorate the toy chest to inspire imaginations of the children who store their items here. Safety hinges protect their little hands and help to make sure that this item is safe and secure.